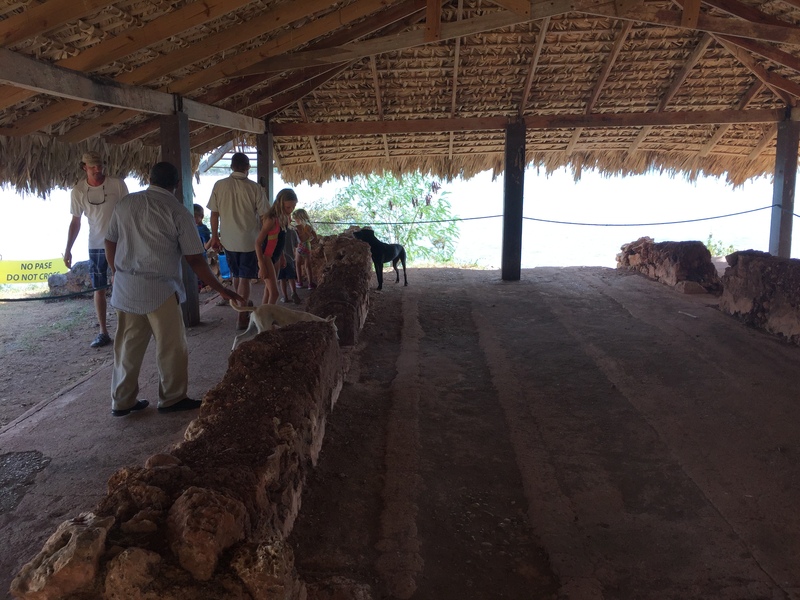 This week, Christopher Columbus was lifted off the pages of history; a visit to La Isabela, Dominican Republic (DR), saw our family walk amongst the ruins of the very first settlement in the New World. We stood in Columbus’s cliff top house, and saw the remains of other houses, as well as a cemetery, and the first church to hold mass in the New World. The remains of Columbus’s cliff top house now covered in a thatch roof to help protect it from the elements. 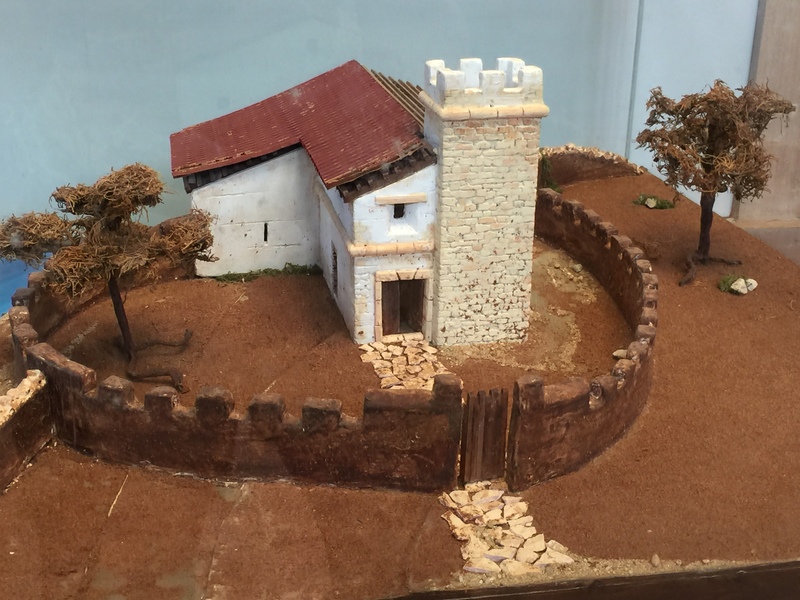 The La Isabela museum contained a small-scale replica of Columbus’s house as what it would have looked like circa 1493. 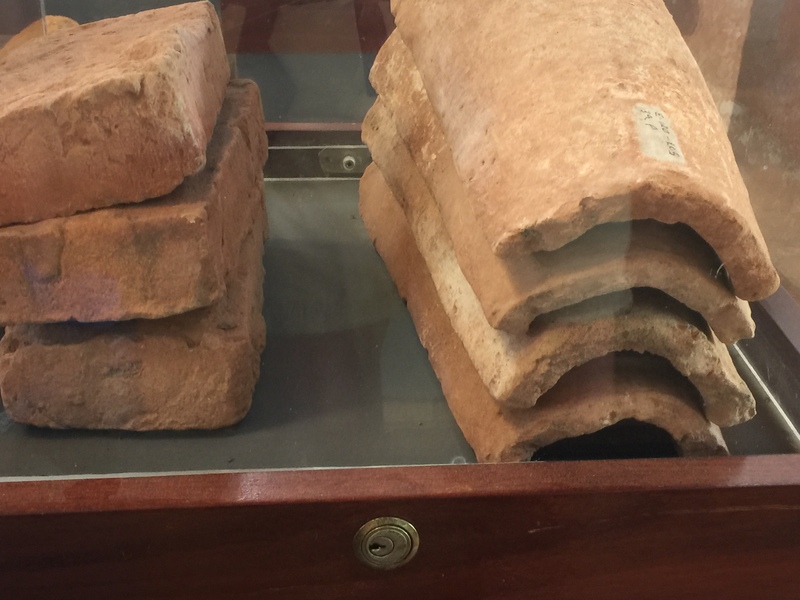 I thought it was interesting to learn that early roof shingles gained their shape by using the builders’ own legs. Early shingles shaped on the calves of the tradesmen. Museum at La Isabela. 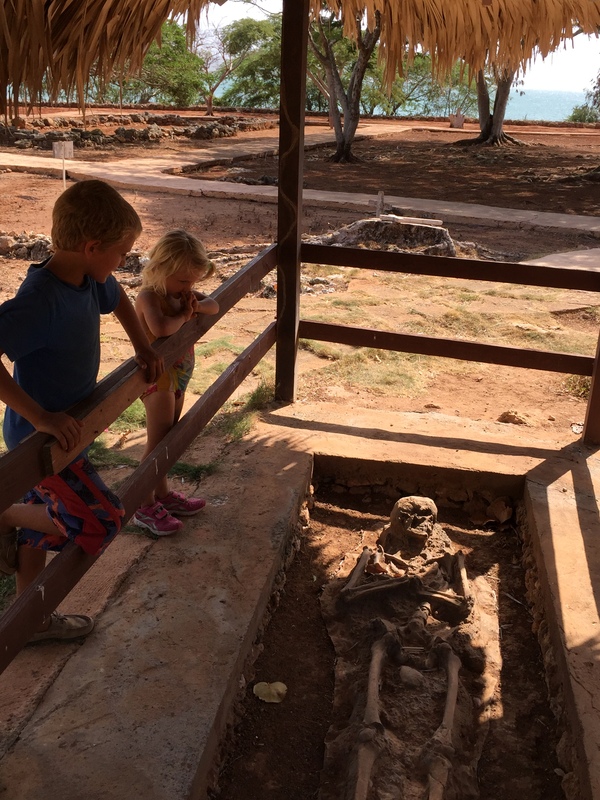 The kids were fascinated by the skeletal remains of someone who had lived in the settlement. Five year-old Karen now dreams of being an archeologist. Karen (5) and Paul (8) viewing the only exposed skeleton at La Isabela. Paul particularly enjoyed seeing a replica of one of Columbus’s ships. 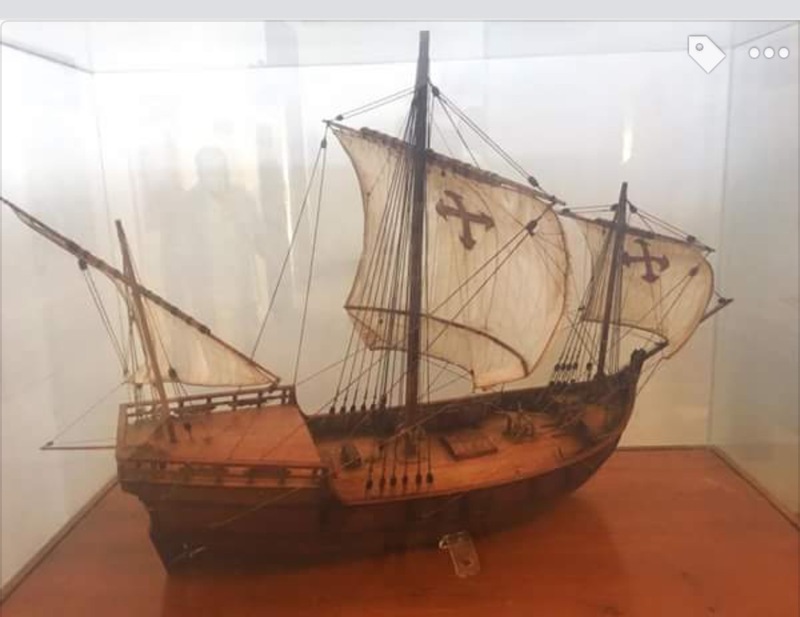 Replica of one of Columbus’s ships. Photo credit: Facebook, Will Aitken. We feel very fortunate to have seen Columbus’s settlement from both land and sea. 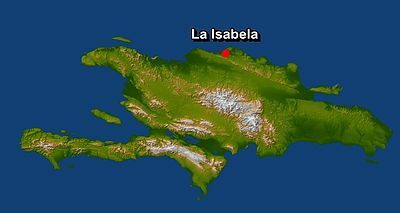 Like Columbus, we anchored at La Isabela when we first arrived in the DR. Columbus, however, had loftier intentions when he claimed and named the entire island of Hispaniola, which means “Little Spain”. It wasn’t until we visited the La Isabela settlement, by land, that we realized we had been anchored in full view of Columbus’s house. 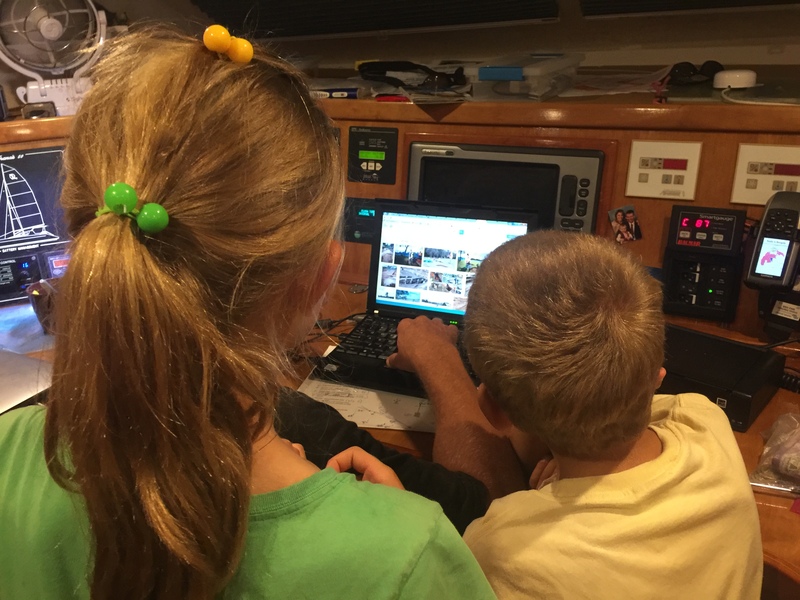 After visiting the settlement Rick downloaded two documentaries about Columbus that had us on the edge of our seats. We learned that we had likely sailed over some of his sunken ships. As many as six ships are believed to be buried at the bottom of the bay under many feet of mud in the bay. As a result of our trip the kids have been eager to learn more about archaeology and the process of finding objects using a grid. Betty and Paul – eager to learn more about archeology. We went to La Isabela with Will Aitken and his two dogs Raven and Lupo. Will is a cruiser from Texas, and he suggested La Isabela as a day trip to us. Thanks Will for suggesting this trip and for doing all the driving. We had a great day! 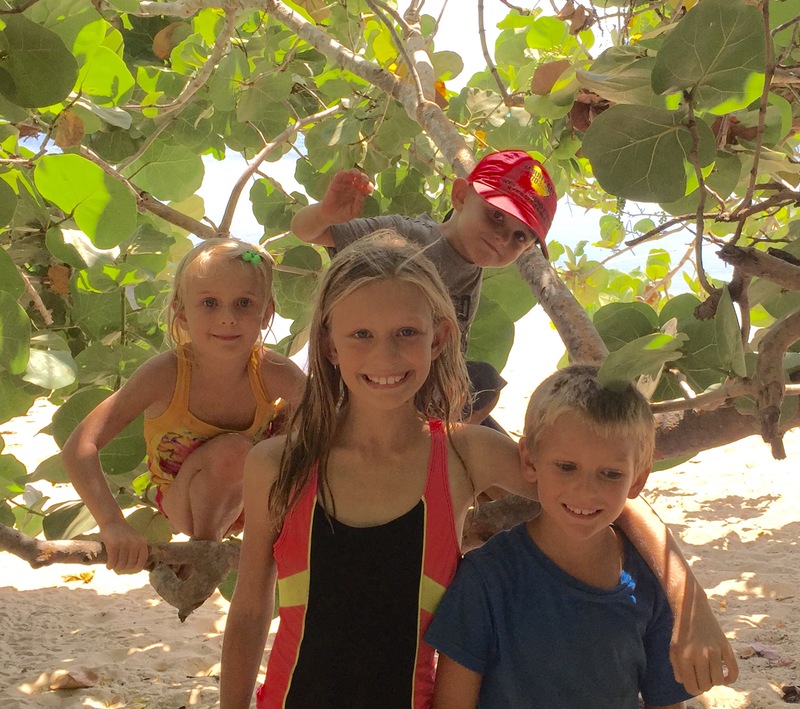 Our kids -(L to R) Henry (back), Karen, Betty and Paul (front) on the beach at La Isabela. you have such informative, entertaining posts, thank you. I’m catching up over coffee.